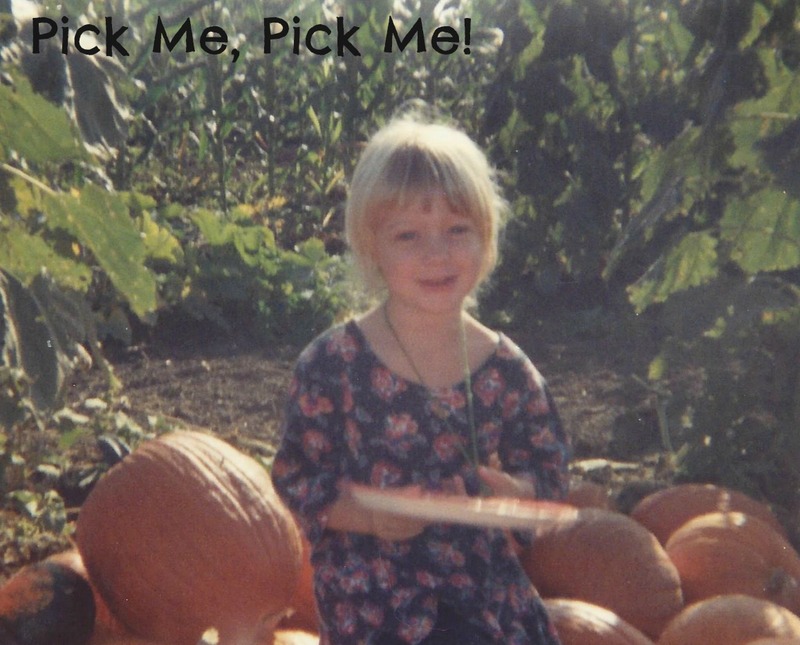 I volunteered to work once a week at the ‘pumpkin patch’ – to raise money for kids for camp. Pumpkin patches aren’t really something you see in south Florida – we just import the pumpkins and pretend we live where its fall. Heck, we’ll even put on a plaid shirt and boots with our shorts when it’s still 88 outside just to make sure we are part of fall. Its fun to watch the kids look for a pumpkin, the youngest ones pick up the first one they see, the more seasoned pickers (you know 5 year olds) they roam around a little longer. Seems like the boys always want the biggest ones and girls always want the ones with a curly cue dried up stalk or one that has bumps on it. Years ago when my children were little we went on a field trip to the pumpkin patch. One little girl’s grandparents came with her. After carefully assessing the candidates she made her decision. Her grandmother asked are you sure this is the one, what makes you choose that one “Oh, grammy, this one just said to me: ‘Pick me’ “. That’s how I feel when I go to the garden center. I’m quite sure each rose bush is broadcasting: ‘pick me’. I know that when it’s viola time of year all of the violas shout at me: ‘pick me’. so thankful HE is always for us – and in HIM we never have to try to look good, or be picked. So comforting there is nothing we can “do” to picked by Christ! I am surprised why this accident didn’t take place earlier!